What is an arborist? An arborist is simply a person who has gained the technical competence to properly handle and care for trees. Many tree service companies send out basic technicians to care for and service your trees. We of course have many technicians that are all educated, but when a situation is difficult or needs extra knowledge for the job, we let our in house arborists take care of your tree's needs. When your trees are in poor health and you absolutely can't figure out why, odds are you need a certified tree doctor. Our arborists have a passion for trees and for helping people. They can handle just about anything when it comes to your shrubbery and trees. Arborists are the best at extending a trees life span and making sure it grows healthy and properly. 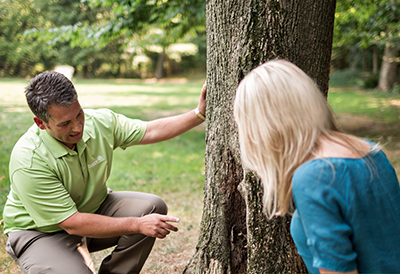 Arborists are always the ones who will take care of your tree fertilization and tree injections. WE CARE ABOUT YOUR TREES. CALL ONE OF OUR ARBORISTS TODAY!